Located in Gray, Maine, Spring Meadows Golf Club is a beautifully maintained public golf course designed to suit golfers of all different skill levels. Spring Meadows is recognized as one of the premier 18-hole championship golf courses in the Portland, Maine area with a versatile design that caters to both the avid golfer and the beginner. Combining southern Maine’s aesthetic charm with impeccable course conditions, Spring Meadows includes a driving range, practice putting green, bar and lounge area with inside and outside seating. 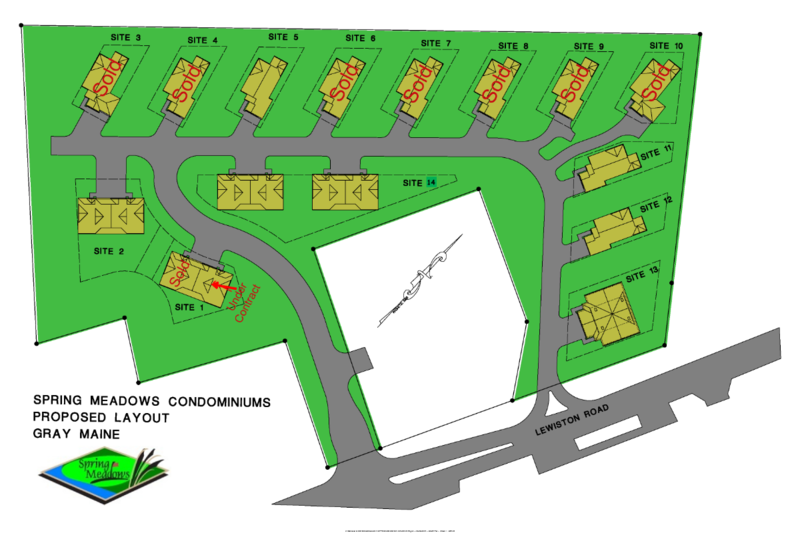 Below you will find a drawing of the condominium layout plan for the Spring Meadows Real Estate.